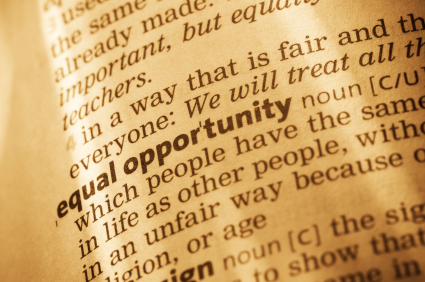 The Equal Employment Opportunity Commission (EEOC) issued a letter August 29th that defends its use of the concept of “disparate impact” in combating employment discrimination. The letter was in response to a challenge from the Attorneys General of nine states that called the EEOC position “An Attack on Criminal Background Checks in the Hiring Process” that produced “A Burden on Business.” This exchange is the latest in a series of employment discrimination developments that we have been following over the past year and a half. The EEOC has made headlines over its interpretation of the Civil Rights Act Title VII prohibition of discrimination in employment. The agency published guidelines in April 2012 that incorporated the idea of “disparate impact”into policy and subsequently filed lawsuits against employers based on it. Recently, courts have begun to issue rulings on these lawsuits that have raised issues about the legal viability of the concept. Protecting against disparate impact is difficult in practice, creating an unfair hazard for employers and inhibiting their incentives to use background screening in the hiring process. Disparate impact illegitimately creates a new protected class – convicted criminals or ex-cons – outside of legislation. EEOC guidelines, including the practice of “individualized assessment,” greatly raises the costs of doing business. The letter from the Attorneys General incorporates versions of all these critiques. The crux of the matter is that the EEOC requires employers to use background screening policies that link the use of criminal background screening to eliminate applicants with the potential of a specific individual to cause problems in a specific job position. To implement this idea, the guidelines encourage employers to use individualized assessments. The AGs believe that this amounts to a complete rejection of “bright-line screen” in practice that “defies common sense.” They also believe the EEOC guidelines rest on an incorrect interpretation of the Green vs. Missouri Pacific Railroad Co. case that is the foundation for the concept of disparate impact. Further, the AGs “are troubled that your agency’s true purpose may not be the correct enforcement of the law, but rather the illegitimate expansion of Title VII protection to former criminals.” They take legal support for this view from a dissenting opinion in the Green case that makes this exact point that the decision may create a new protected class. The creation of a protected class is the exclusive purview of Congress, not an agency. Congress can act to make ex-cons a protected class if it wants to. It has done so. Finally, the AGs argue that forcing employers to use individualized assessments “will add significant costs” and may even result in the reduction of employment. The EEOC has responded to the AGs in its August 29th letter, saying that it is “not illegal” for employers to conduct criminal background checks or to use them in employment decisions. However, it also defends its use of disparate impact by referring to a 1971 Supreme Court case and the 1991 extension of the Civil Rights Act. Most importantly, the agency further clarifies that the use of individualized assessments is not a universal requirement. Instead, it should be used only in a two-step process, “with individualized assessment as the second step.” It argues that the disputed guidelines support the use of “targeted” screens that would categorize people for elimination based on the nature of their crime, the time elapsed since conviction, and the nature of the job. Then, only the people who would be eliminated by this screen would be subjects for individualized assessments. The EEOC goes on to say that if an employer can demonstrate that its targeted screen is “always job related and consistent with business necessity” the screen alone may be used to eliminate job applicants. In this view, the individualized assessment is a “safeguard” to be used only when the targeted screening is insufficient to fairly avoid discrimination against a protected class. In our view, the EEOC letter does nothing to clarify issues for employers. The whole point is that virtually any “bright-line” screening process will generate a pool of rejected applicants that may be disproportionately members of a protected class. And, therefore, employers will have to rely on individualized assessments in order to be certain of staying on the safe side of the EEOC’s guidance. Going forward, courts may help to simplify the conceptual confusions inherent in the controversy, and possibly even force the EEOC to revise its position. In the meantime, employers have little choice but to work hard to refine background screening policies to “target” applicants for elimination efficiently. 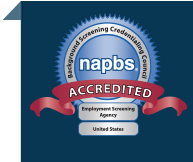 Let us help you craft a more effective and compliant screening program. Talk to an expert.